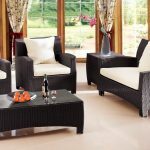 Rattan as garden furniture is a very popular choice. 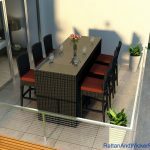 It actually has so many advantages that what is supposed to be garden furniture can also be used as dining room furniture.Rattan garden furniture can be that elegant, and actually more and more people have decided to use it indoors. 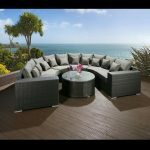 If you want to see what rattan garden furniture or rattan sets looks like, you could browse these pages. 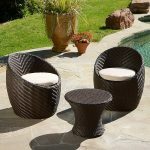 Rattan basically stands for almost 600 species of palms. 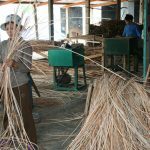 From a strand of rattan, the skin is usually peeled off, to be used as rattan weaving material. 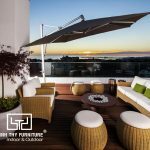 The remaining “core” of the rattan can be used for various purposes in furniture making. 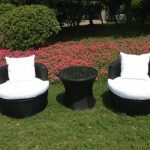 Rattan is a very good material mainly because it is lightweight, durable, and—to a certain extent—flexible. 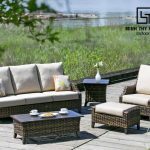 The process of weaving rattan and other materials into finished goods generates the so called wicker furniture, which is not as durable as the purely rattan one. 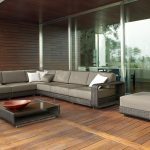 As part of the garden furniture, rattan is a matter of taste. While it does not have intricate finishes like the metal one, it has a certain elegance and a colourful cushion can instantly brighten things up. 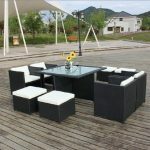 Rattan garden furniture is also a child friendly type of furniture. It can be shaped into comfortable armchairs and swings, and as it is easy to move around, children may easily choose their own favourite place in the garden. 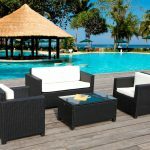 Rattan sets are usually more suitable for larger gardens. 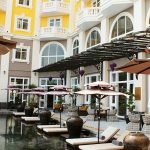 This is not a rule, as you can always choose just a lounger or an armchair and simply spoil yourself. 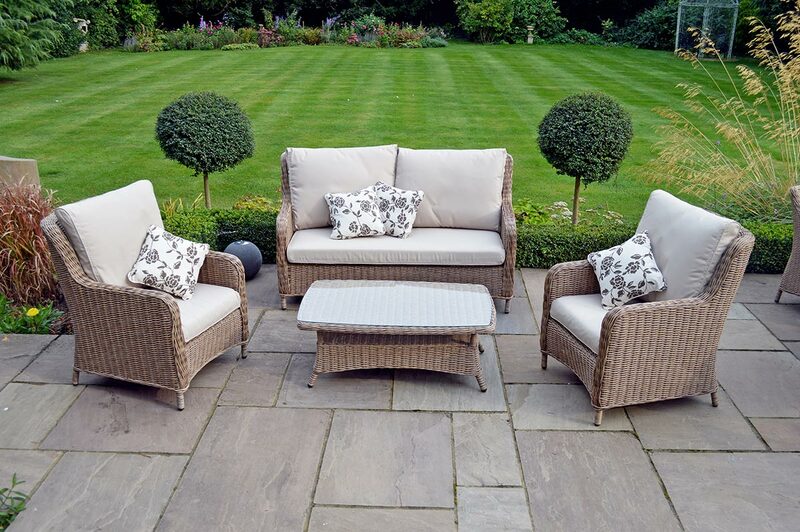 Whichever the option rattan is an excellent garden furniture choice.